A bird’s-eye-view of Beomeosa Temple from the turn of the last century. Located in the northern part of Busan, on Mt. Geumjeongsan, Beomeosa Temple dates back to 678 A.D. 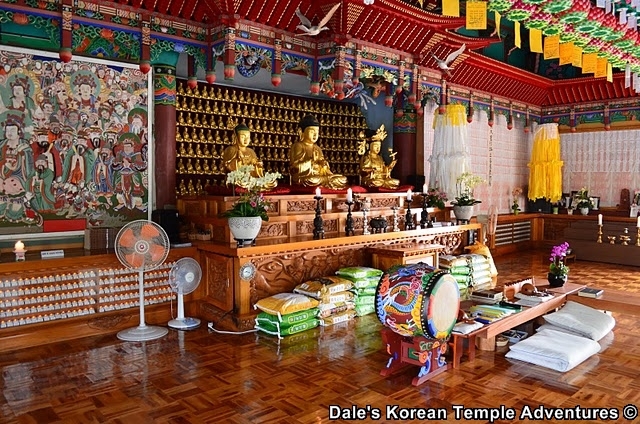 The temple was founded by the famed temple-builder, Uisang. The name of the temple means “Fish from Heaven Temple,” in English, which is in reference to the creation myth that surrounds the temple. According to the myth, there is a well with golden water on top of Mt. Geumjeongsan, which is where the temple is located. Supposedly, golden fish rode a rainbow down from the heavens to inhabit the well. 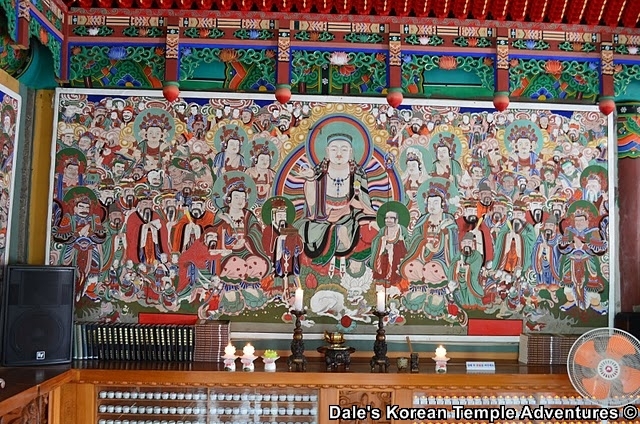 Beomeosa Temple became known as one of the ten great temples of the Hwaeom sect in Korea, even though it is now part of the Jogye-jong Buddhist Order, which is the largest sect in Korea. 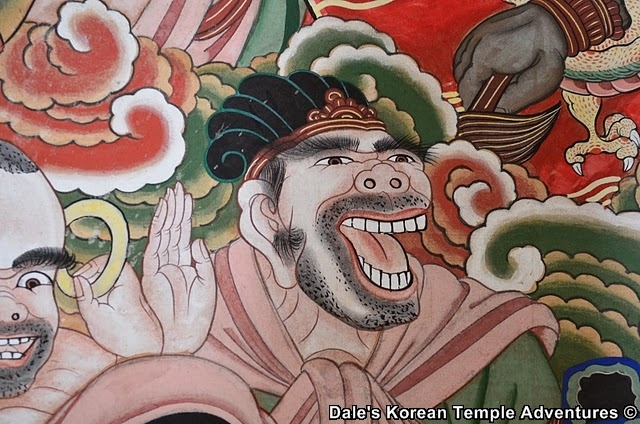 During the Goryeo Dynasty (918-1392), there were more than a thousand monks that took up residence at the temple. During the destructive Imjin War from 1592-98, Beomeosa Temple was completely destroyed by the invading Japanese. In 1602, the temple was reconstructed, but was destroyed a few years later in an accidental fire. So in 1613, the temple was rebuilt once more. And it’s from this date that a number of shrine halls and buildings were constructed. These structures include the main hall and the Iljumun Gate. 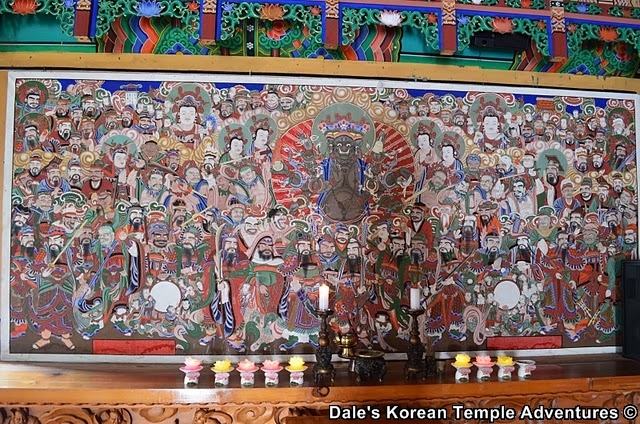 More recently, Beomeosa Temple is one of the sixth largest temples in Korea. And spread throughout the rolling hills of Mt. 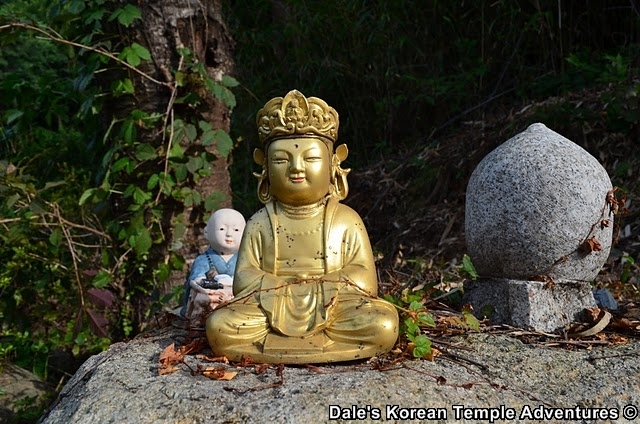 Geumjeongsan are an additional eight hermitages directly associated with Beomeosa Temple. 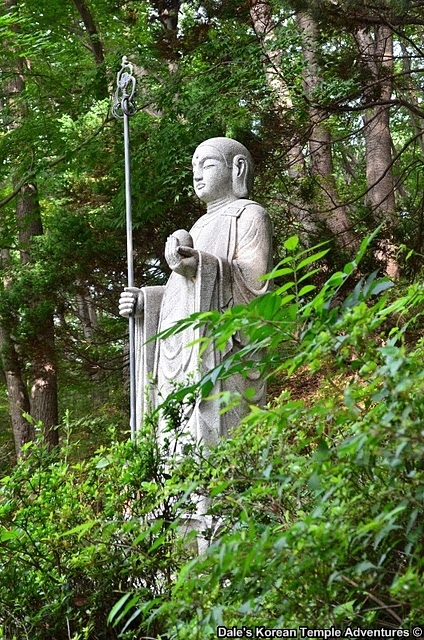 In total, besides a dozen shrine halls that a temple visitor can explore, Beomeosa Temple also houses seven treasures within its grounds. Another amazing view of Beomeosa Temple from 1929. The Iljumun Gate from 1931. The Cheonwangmun Gate from 1931. A pavilion with the main hall to the right from 1931. A more modern picture of Beomeosa Temple from 1970. The Iljumun Gate from 1970, as well. A 2013 picture of Beomeosa Temple. A more recent picture of the Iljumun Gate. The temple courtyard at Beomeosa Temple. 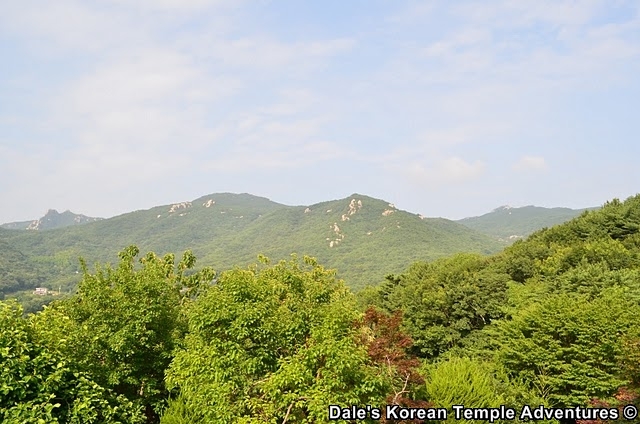 The amazing view from Wonhyoam Hermitage…and the hike that nearly killed me to get it. 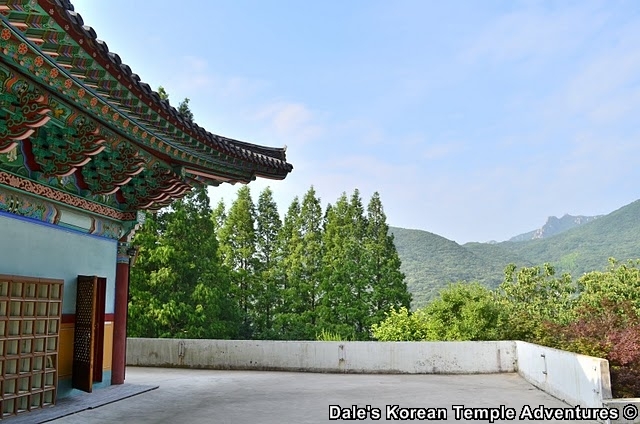 As I mentioned in a previous posting about Wonhyoam Hermitage, there are literally dozens of Wonhyoam Hermitages throughout the Korean peninsula named after the famous Korean monk, Wonhyo-daesa. 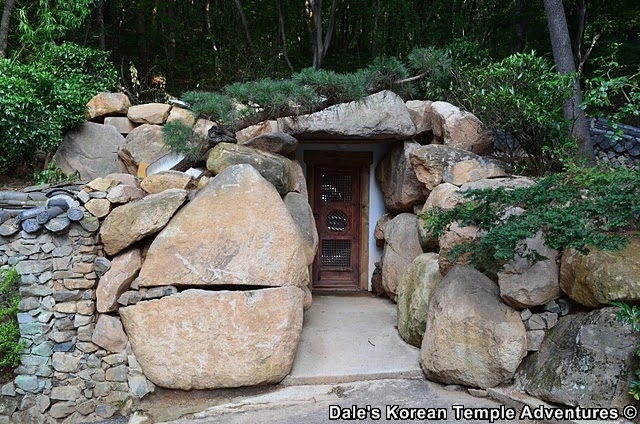 And this entry is about another hermitage called Wonhyoam Hermitage. 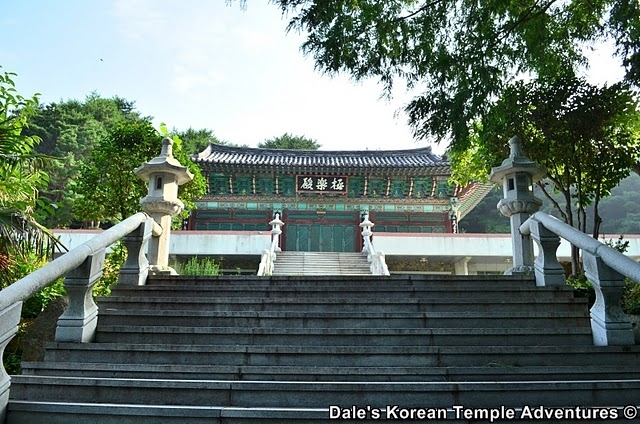 The difference between this Wonhyoam Hermitage and others is that this one is directly associated with Beomeosa Temple in Busan. 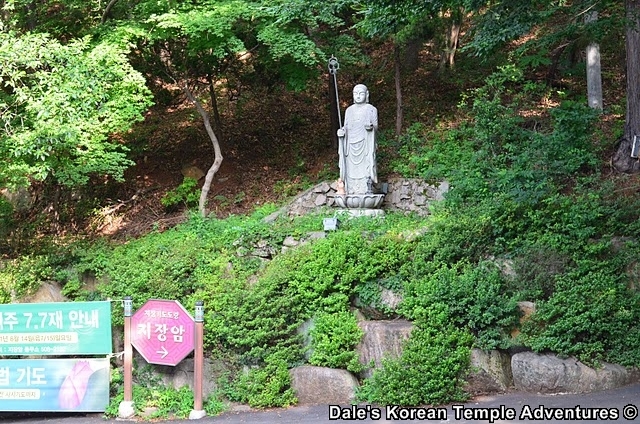 In fact, it’s located on the temple grounds and up Mt. Geumjeongsan. The story all starts when I was exploring some of the hermitages in and around Beomeosa Temple. 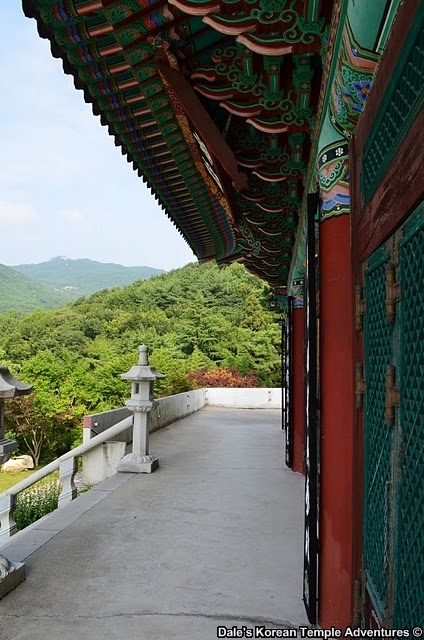 Initially, I had been attempting to see Geumjeongam Hermitage. One wrong turn later, and I was attempting to see Wonhyoam Hermitage. I had known, or thought I knew, that the two hermitages were close in proximity to each other. So when I was unable to locate one, I was crossing a bridge over Dolbada (The Sea of Rocks), and heading up a mountain in search of a second hermitage. Without knowing the distance it took from the base of the mountain up to Wonhyoam Hermitage, I was ill prepared for the climb. I didn’t have any water, and I didn’t have my hiking boots on, either. Halfway up the climb, which is about 500 metres straight up, I was wondering what I had got myself into. Resting at the first of many large rocks along the way, sweat covering my body, a stranger walked by me. He kindly offered me water. I must have looked like death when he saw me. Fortunately, this wasn’t the first stranger to offer me assistance along the way. 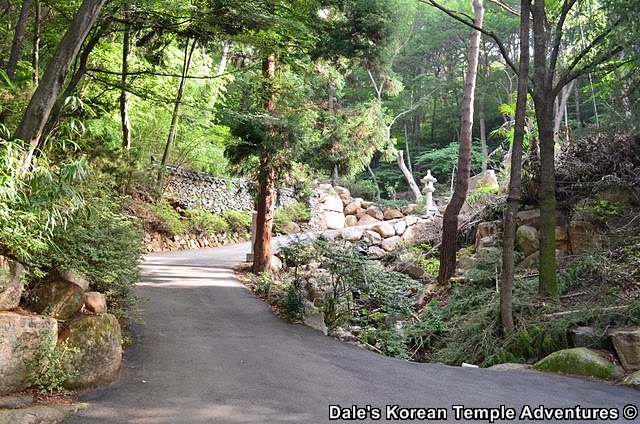 Part of the arduous hike on your way up to Wonhyoam Hermitage. A further 300 metres up the hike, a hike that I had no idea when it would come to an end, another stranger walked by me as I rested on a rock. His English was great, and he offered me the encouraging words that the hermitage was only another 200 metres up the mountain trail. Before he had told me the distance remaining in the hike, I had been contemplating descending the mountain. I hadn’t seen a sign pointing me in the direction of the hermitage for several hundred metres. He asked why I was so interested in seeing Wonhyoam Hermitage. I told him that I had heard great things about the hermitage. 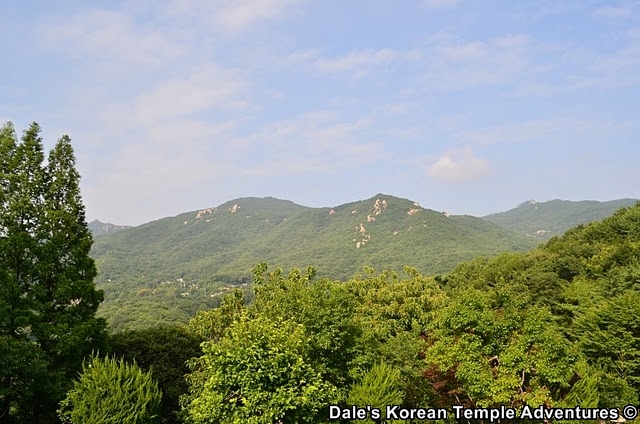 He then went on to tell me that he visited Wonhyoam Hermitage every weekend, which was a miracle onto itself, considering the distance and stamina it took to see this hermitage located amongst the mountain peaks of Mt. Geumjeongsan. He suggested that we go together. When I told him that I was going to rest a bit longer, he gave me the most accurate directions to get to the hermitage: through a fenced gate and around a rightward bend in the trail. Having finally ascended the mountain, I saw both Korean gentlemen that helped aid me in my time of need. With a kind smile exchanged between us, I hung around a bit before descending down the mountain. The older looking main hall at the hermitage. To me, it’s these moments that remind me of the kinder and gentler side of Korea. It isn’t the driving or balli, balli (hurry, hurry) culture, but the kindness shown from one stranger to the next. 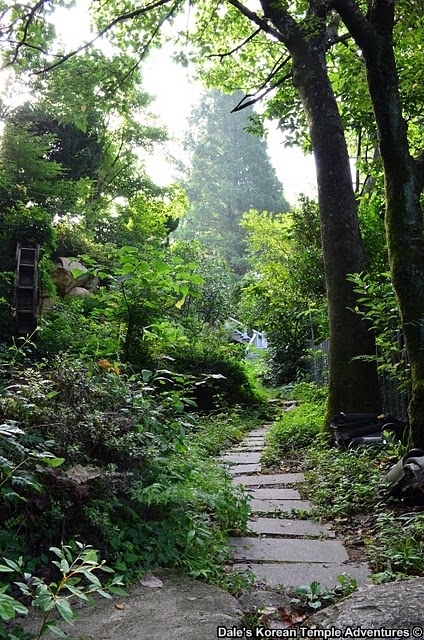 And the more I explore the mountain trails and temples of Korea, the more I get to discover the sweeter side of Korea. 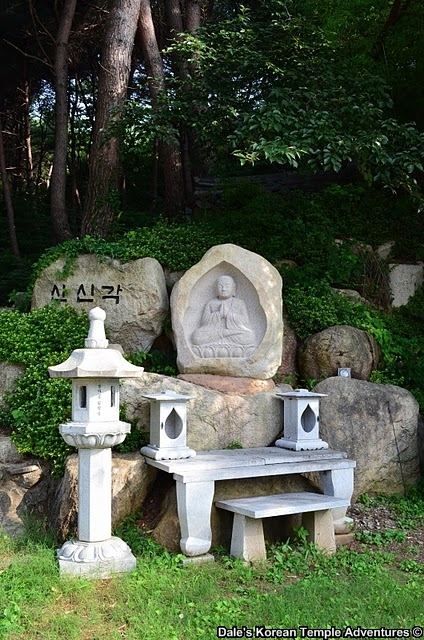 For more information on Wonhyoam Hermitage in Busan.